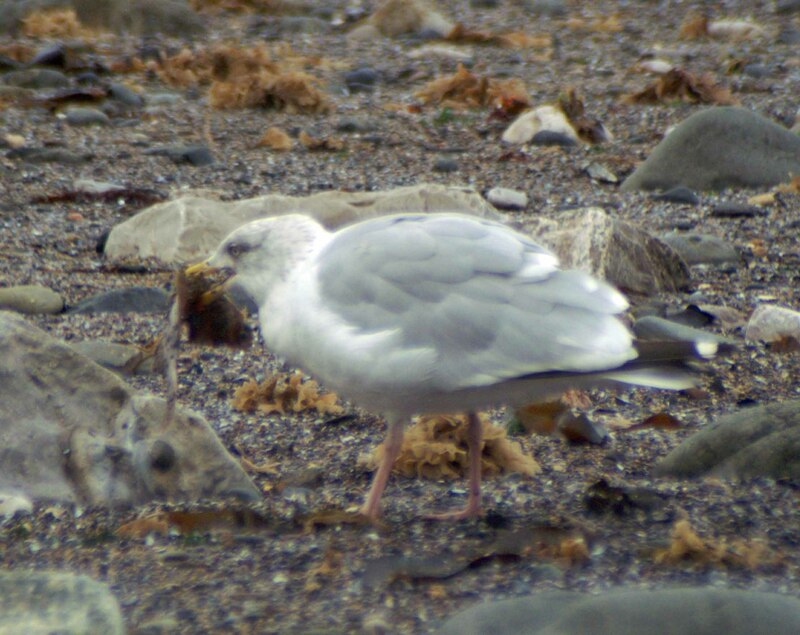 Walking along the sea shore the other day I came across a Herring Gull in the process of eating a fish. I have no idea what species of fish it was, all I can say is that it was a flat fish and either whole or almost-whole, either way, large enough for me to be amazed that a bird could even attempt swallow it. 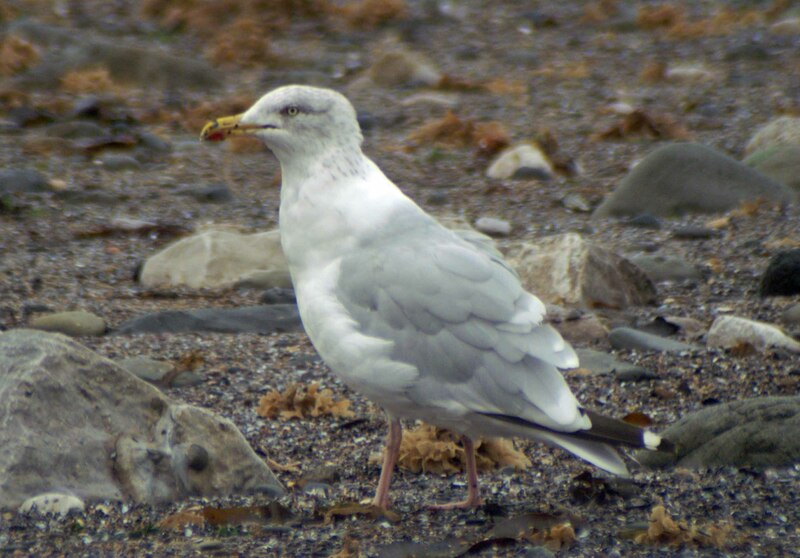 Herring Gulls are omnivores and opportunists like most Larus gulls, and will scavenge from rubbish dumps, landfill sites, and sewage outflows; food obtained this way may comprise up to half of the bird’s diet. 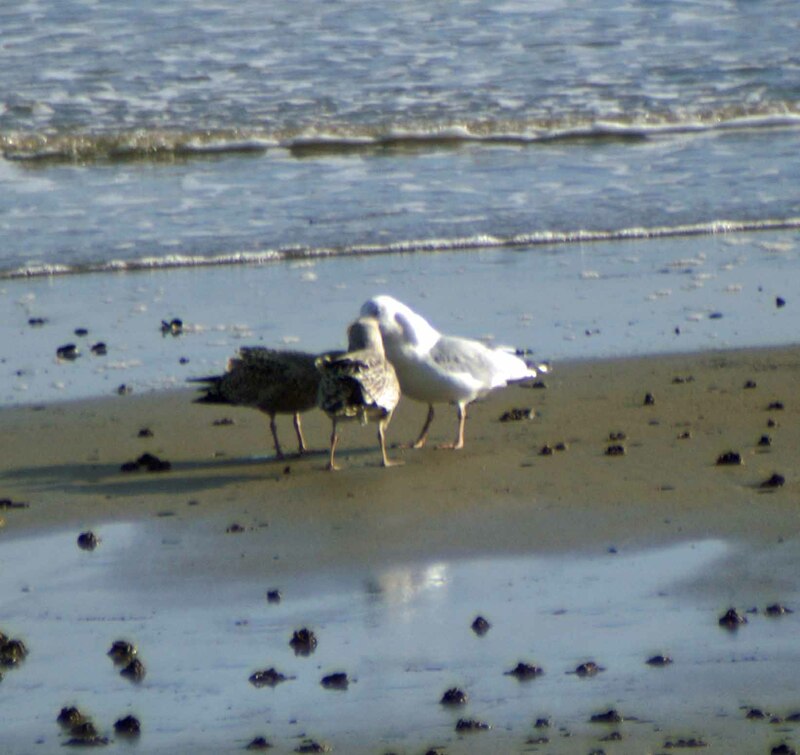 Despite their name, they have no special preference for herrings — in fact, examinations have shown that echinoderms and crustaceans comprised a greater portion of these gulls’ stomach contents than fish. 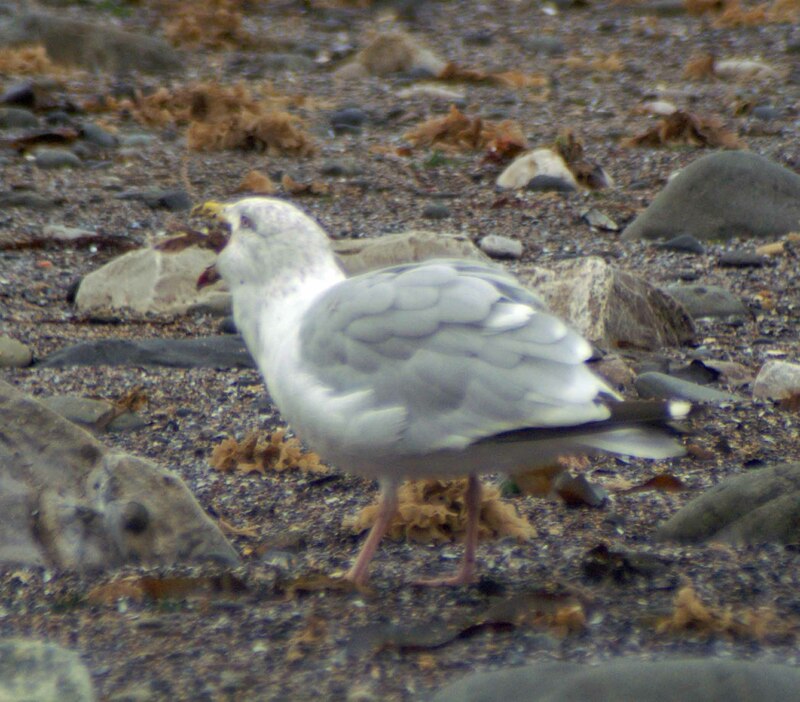 On Colwyn Bay seashore I witnessed more gull feeding behaviour, this time two juveniles were begging an adult, presumably a parent, to feed them. Juveniles use their beaks to “knock” on the red spot on the beaks of adults to indicate hunger. Parents typically disgorge food for their offspring when they are “knocked”. 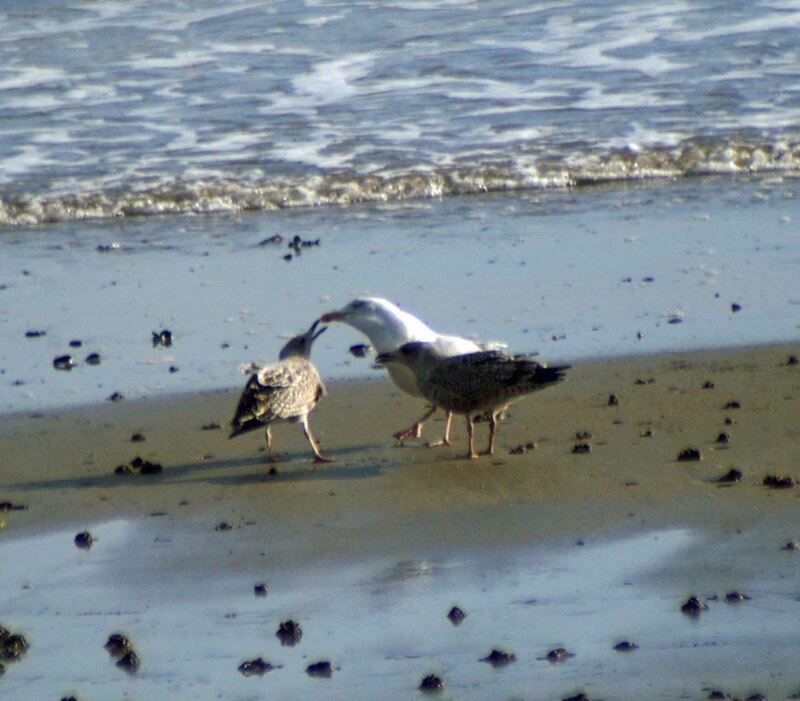 Chicks are generally fed by their parents until they are 11–12 weeks old but the feeding may continue up to six months of age, if the young gull continues to beg. The male feeds the chick more often than the female before fledging, the female more often post-fledging. 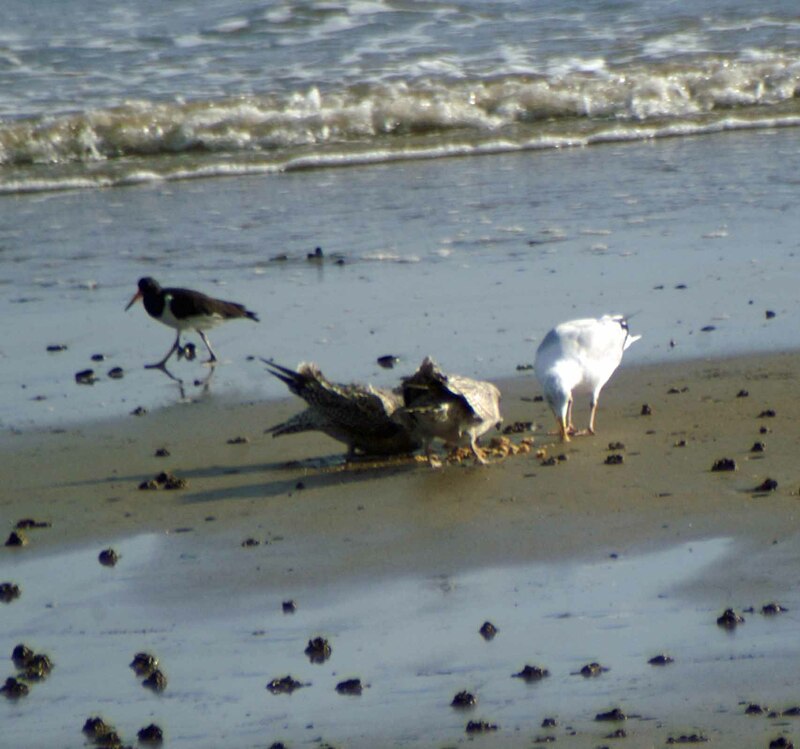 The young birds begging did the trick and the adult disgorged whatever it had eaten onto the beach, which did not look at all appetising from where I was standing, but the three birds seemed to be happy with it. 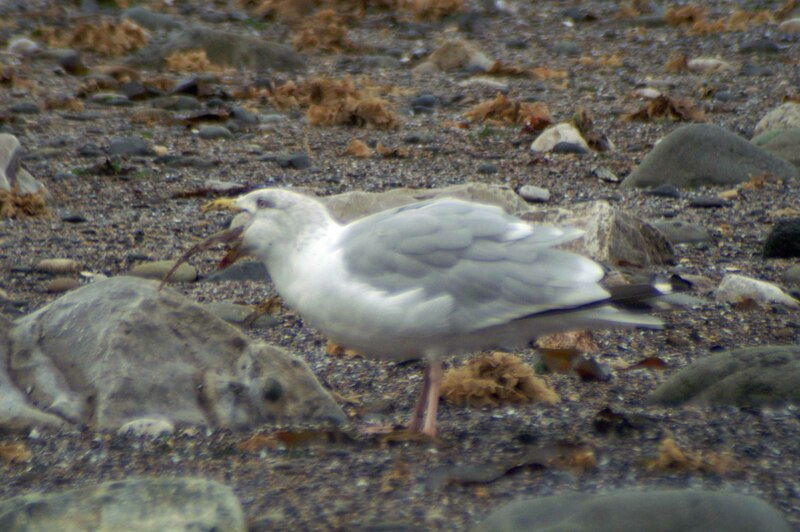 It’s amazing how large of a meal a gull will try to swallow in a single gulp. Near where I live I have seen gulls try (and succeed) in swallowing large starfish at a single go. I actually just posted pictures of it last week in my post- Gulls eating starfish. Yes it is, I was fascinated by the one I was watching eat that fish. It was being very closely and maybe hopefully watched by a young gull, which may also have made it more determined to get it down. I already looked at your photographs and was very impressed with the images, enjoyed the posts too and will be back to see more.